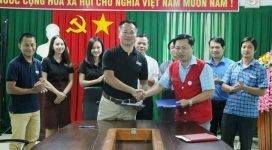 Dong Ha, Quang Tri (09 Feb 2015) –The signing of a three-year agreement on Monday between the Quang Tri Province People’s Committee (PPC) and Norwegian People’s Aid (NPA), in a ceremony in Dong Ha, will officially expand Project RENEW’s survey and clearance of cluster bombs and other explosive remnants of war (ERW) to the other remaining districts of Quang Tri Province. The expansion is funded by the U.S. Deparment of State’s Office of Weapons Removal and Abatement (PM/WRA). Located on both sides of the former Demilitarized Zone (DMZ), Quang Tri Province was one of the most heavily bombed and shelled areas in Vietnam during the war. Since the war ended in 1975, the province has sustained more than 8,500 deaths and injuries caused by ERW, 31% of which have been children. Four decades later, ERW still pose a threat to local residents’ safety and limited development opportunities. 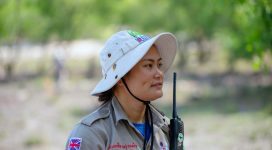 Since safety of children and adults is the long-term objective, this project will reduce the risks of cluster munitions and other ERW to a level where civilians can live safely, and so that development is not constrained. In addition, NPA / Project RENEW will provide information on “Confirmed Hazardous Areas” (CHAs) that require full clearance by the military or other international NGOs, to be passsed along through the new Legacy of War Coordination Centre (LWCC) which has been recently established. 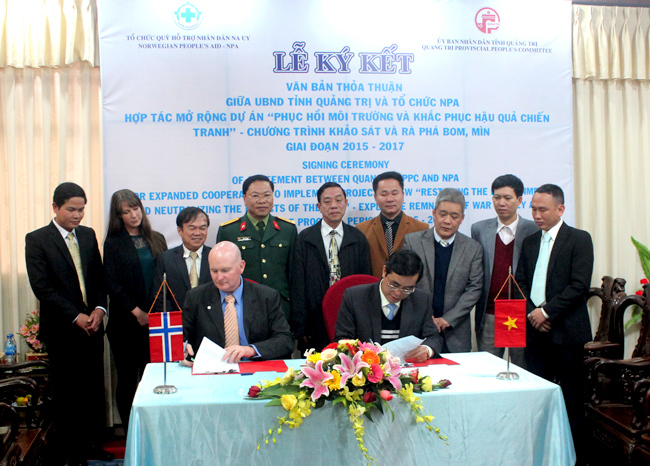 Hilde Jorgensen, South East Asia Desk Officer from NPA Headquarters in Oslo, said that this agreement is quite significant because it moves Vietnam to the top position in NPA’s global mine action portfolio. 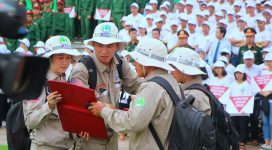 NPA has worked in Vietnam since 2008, through Project RENEW developing Explosive Ordnance Disposal (EOD) capacity for Quang Tri Province. With support from NPA, Project RENEW’s field teams have removed and safely destroyed 23,423 ERW, handed over 857,160 m2 of safe land for local people to develop and identified 6.71 million m2 as confirmed hazardous areas which need full clearance, out of 45.2 million m2 surveyed. NPA’s operational footprint now covers all of Quang Tri and Thua Thien Hue Provinces, and includes work with the National Steering Committee 504 in Hanoi.